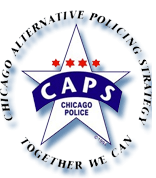 Chicago Police Department (CPD) Superintendent Eddie Johnson announced today the formation of a panel dedicated to developing a new strategic plan for community policing. The Community Policing Advisory Panel, consisting of national experts in the field, members of CPD Command Staff and Chicago community leaders, was appointed to provide a comprehensive and thoughtful report proposing ways the Department can engage and collaborate with communities to fight crime and restore trust. A method to evaluate the plan and its impact on crime and on public perception of and trust in police. “As a former Chicagoan who remains deeply invested in the future of the city, I am pleased to support CPD’s efforts to renew its commitment to this foundational aspect of good policing,” said Yale Law School Professor Tracey L. Meares, who served on President Obama’s Task Force on 21st Century Policing. Chief Waller serves in the third highest position at the Chicago Police Department. Responsible for all aspects of patrol deployments, he oversees the Department’s 22 district stations. With more than 29 years of service, Waller has held numerous leadership positions within CPD. He has received 20 Department Commendations, a Unit Meritorious Award, a Problem Solving Award, four Joint Operation Awards and 75 Honorable Mentions. Wesley G. Skogan, an expert on crime and policing, has directed most of Northwestern University’s Institute for Policy Research’s major crime studies over the past three decades. Beginning in 1993 he directed an evaluation of Chicago’s community policing initiative. His newest projects include an evaluation of the Chicago Police Department’s procedural justice and legitimacy initiative. In 2015, he received the Distinguished Achievement Award in Evidence-Based Crime Policy from the Center for Evidence-Based Crime Policy. This award is the center’s highest honor and recognizes individuals who have made a significant contribution and commitment to advance the integration of science with criminal justice practice. Tracey L. Meares is the Walton Hale Hamilton Professor of Law at Yale University. She was, at both The University of Chicago and Yale Law Schools, the first African American woman to be granted tenure. Before going into academia, Professor Meares held positions clerking for the Honorable Harlington Wood, Jr., of the U.S. Court of Appeals for the Seventh Circuit and as an Honors Program Trial Attorney in the Antitrust Division of the United States Department of Justice. In December 2014, President Obama named her as a member of his Task Force on 21st Century Policing. After serving almost 15 years in the Philadelphia City Council, Michael A. Nutter was elected Mayor in November 2007 and presided over a 50 year low in homicides in the city at the end of his tenure. He is now working as a political commentator, a professor of professional practice at Columbia University’s School of International and Public Affairs and a senior fellow and national spokesperson for What Works Cities, an initiative to help 100 mid-sized American cities effectively use data and evidence to improve services. He also serves as a fellow at the University Of Chicago Institute of Politics. Ariel Reboyras was sworn in as Alderman of Chicago’s 30th Ward, in May 2003. Alderman Reboyras is a member of several committees, including: Budget & Government Operations, Committees, Rules and Ethics, Finance, Housing and Real Estate, Public Safety, Transportation, Vice-Chairman of Aviation, and Vice-Chairman of License and Consumer Protection. Deputy Mayor Zopp served in the United States Attorney’s Office and was the first woman and African American to serve as the First Assistant in the Cook County State’s Attorney’s Office. During her tenure as President and CEO of the Chicago Urban League she led the nationally-recognized organization’s focus on expanding economic opportunity in underserved communities, helping youth and young adults achieve academic and career success, and advocacy for social justice. Chief West joined the Chicago Police Department in August 1994 and has served in numerous leadership positions including as the first female Commander of the 15th District. She was later installed as the District Commander of the 11th District before becoming promoted to Deputy Chief of Patrol in 2015. Chief West was promoted to Chief of the Bureau of Support Services in 2016. Deputy Chief Washington is a thirty-year veteran of the Chicago Police Department and has worked in numerous units, including Patrol, Narcotics, Education and Training and the Office of the Superintendent. He has also served as the Commander in the 11th District and the Narcotics Division. As Deputy Chief of Community Policing he coordinates the operations of the different sections within the Unit which include Senior and Community Outreach, Victim Assistance, Domestic Violence, Youth Services and Special Activities (Civil Rights Unit, School Visitations Unit, Crisis Intervention Unit and Honor Guard Team). Nkrumah English is the President and CEO of the Black United Fund of Illinois. The mission of the organization is to improve the quality of life for African Americans through the development of educational programs for youth as well as offering health and social services for communities in need. Christine I. Perez is a long life resident of Chicago and grew up on the southwest side of Chicago in Chicago Housing Authority, Lawndale Gardens. Ms. Perez advocates for those who fight to overcome the challenges of growing up in high-risk communities. She currently works for Family Rescue, a domestic violence agency, where she advocates on behalf of victims, provides assistance in obtaining an emergency order of protections and provides referrals to social service agencies. Joyce A. Chapman has lived in the Historic Pullman neighborhood for over four decades. Feeling it was imperative to engage her community, she founded the Pullman Community Development Corporation. Ms. Chapman was also a CAPS Beat 512 Facilitator for the Chicago Police Department of the 5th District from 1999 to 2009, and in working with community residents she was instrumental in helping to deter crime in the community. For the past six years she has served on the Neighborhood Housing Services (NHS) Advisory Board as Vice Chair. Mr. Lew began his career as a teacher in the Chicago public school system. He then became a social worker for the State of Illinois and later, an employee with the Federal Office of Education as a trainer, organizational consultant and presenter. He now serves as an independent consultant for both public and private organizations. 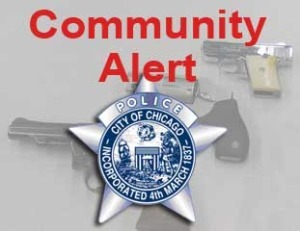 015th District Community Alert- Attempt Child Luring.